Don't just stand there-glue something! Welcome to the June blog hop! If you've just come from visiting Natalie at scrappysassystudios you are in the right place. And if you just hopped on here but want to start at the beginning, you can start with Pam at p-inks . Have fun! 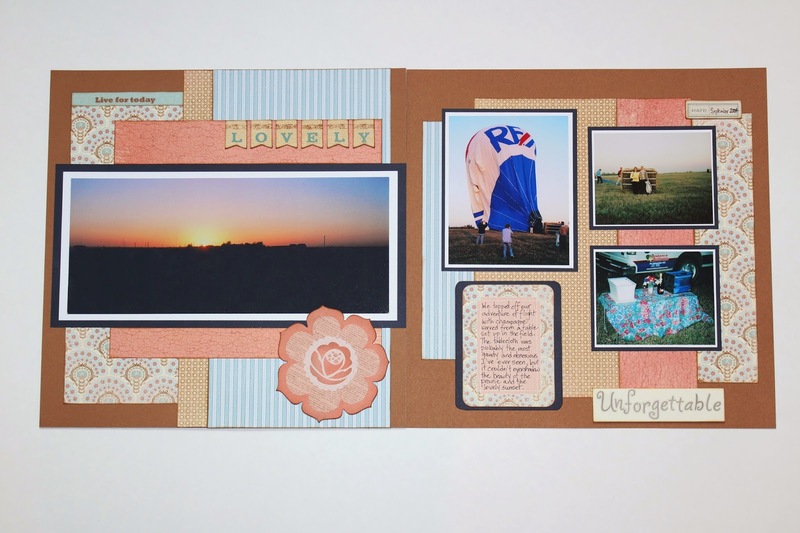 First of all, here is a series of layouts I made to showcase my photos of my own balloon ride! This was an experience of a lifetime, and I wanted to make sure I displayed my pictures in a way that worked with the paper, but where they weren't overwhelmed by the paper itself. I used my Cricut to cut some arrows to keep the story moving in the right direction. Picture My Life cards are great journaling spots and accents, especially since they coordinate perfectly with the paper collection. This layout features views from on high, and it really was "Some kind of Wonderful". 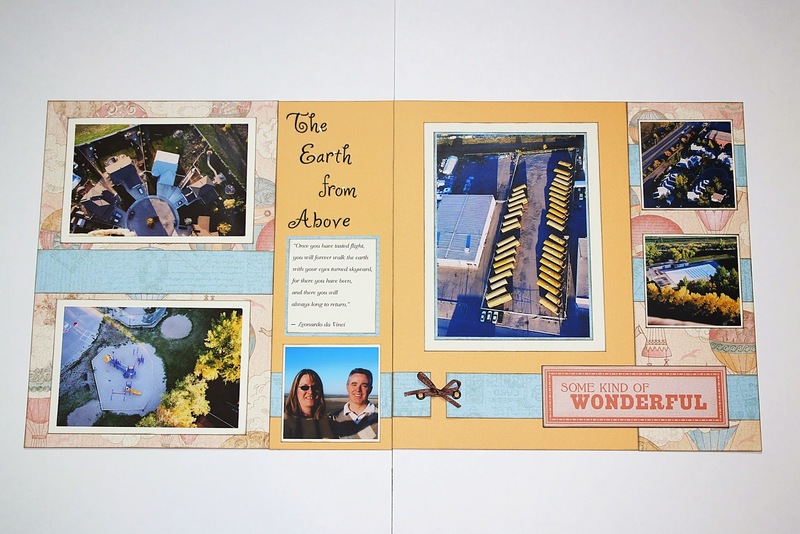 The chipboard sentiment that came with the Balloon Ride Complements was a just right addition to my layout. I love how you can mix and match papers from different paper collections and still make it work. 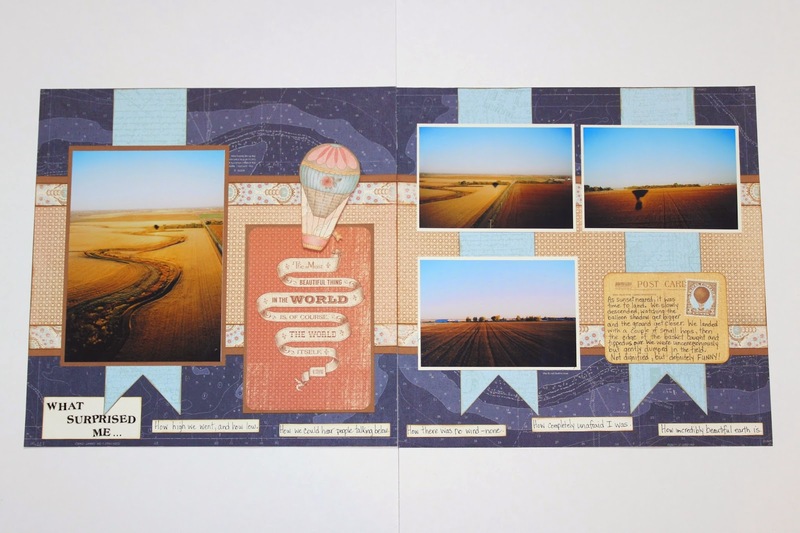 This layout features two sheets of deep blue paper from the retired paper collection "Tommy". The color and the bird's eye view design worked really well with these evening photos. A perfect day and an incredible experience is best celebrated with one lovely sunset and a bottle of champagne, both captured here on these two pages. I think these layouts display my memories of this very special event the way they should and the paper collection is the perfect choice for them. And now a mini album. This one is a real quickie and I made it to try a new-to-me technique for making pages, and to give me a place for some more of my fave flower pictures. Which I have a gazillion of, by the way. 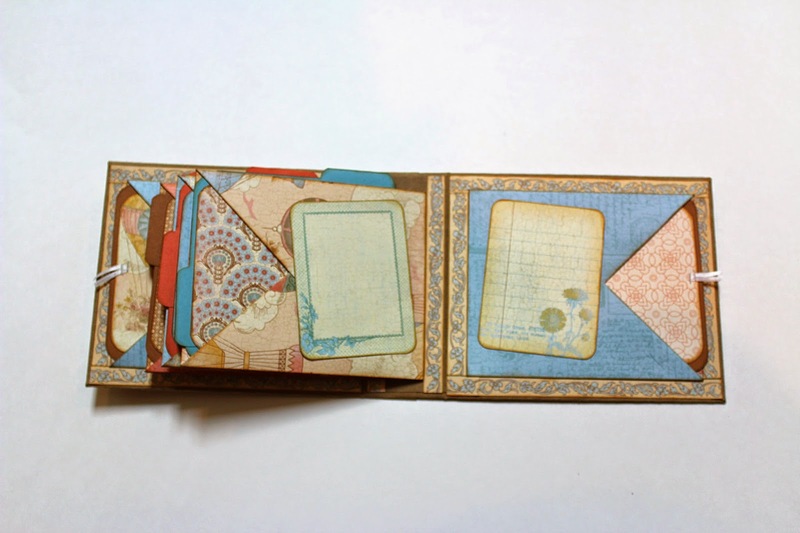 The cover is chipboard wrapped in Kraft paper, and measures 6" x 7" x 2". 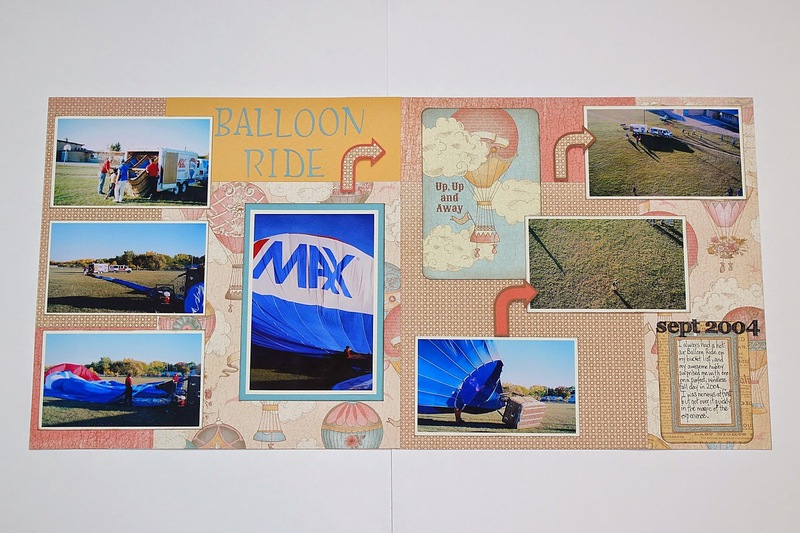 I decorated it with a single piece of the balloon paper from the collection, then with a 3" x 4" card from the Balloon Ride Picture My Life collection backed with Crème Brulee cardstock. I made flowers on my Cricut using the CTMH Artiste cartridge then added pearl centres to some of them. A smattering of rhinestone bling finishes it off nicely. 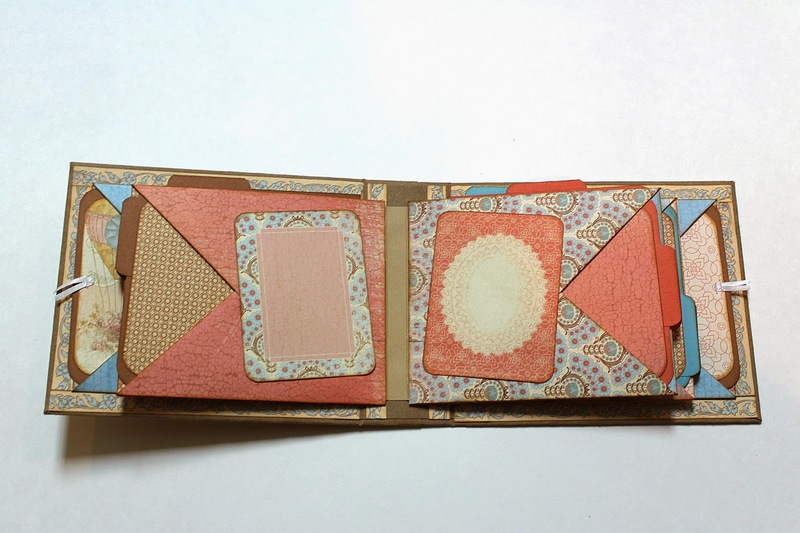 There are only three main pages in this little book, but you could easily increase the number by adjusting the number of hinges you made to bind the pages into the book. Because the paper is double sided, the pages all work together, and each page is unique and interesting. The folding process for each page results in two horizontal pockets and one vertical pocket in each page. The horizontal mats hold two 3 1/2" x 4" photos easily. Each vertical mat is actually a folded insert which gives four 3 1/2" x 4" pictures a home. All inserts and mats have tabs to make them easy to pull out of the pockets. 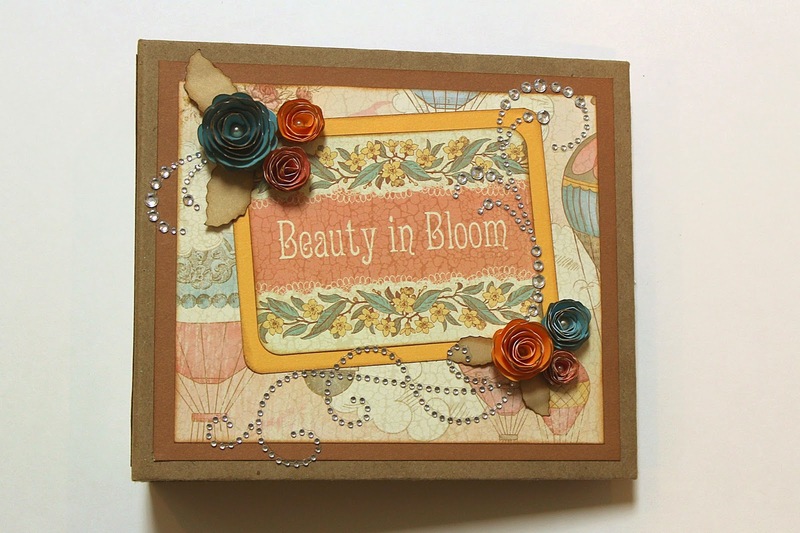 I kept the embellishments to a minimum so I could showcase the beautiful paper, but there is plenty of room for dimensional embellishments (flowers, charms, chipboard). I've now filled this little mini with flower photos, 28 of them to be exact. I used several 3" x 4" Picture My Life cards as both embellishment and journaling spots, with some quotes about flowers on each of the cards, written in my own handwriting. I think it's important to feature your own writing in layouts and albums, even if you don't love it. A quick and fun project. This album would be a cute gift for a baby shower or birthday, featuring pictures you take at the event. Then...gift it to the guest of honor. 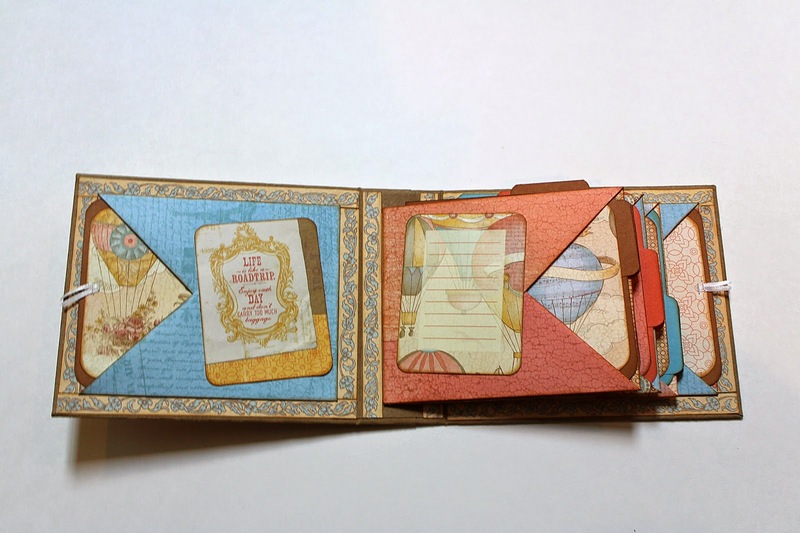 For an example of another mini album using this terrific paper collection, see my previous post "Gatefold Mini Albums" posted in March 2014. 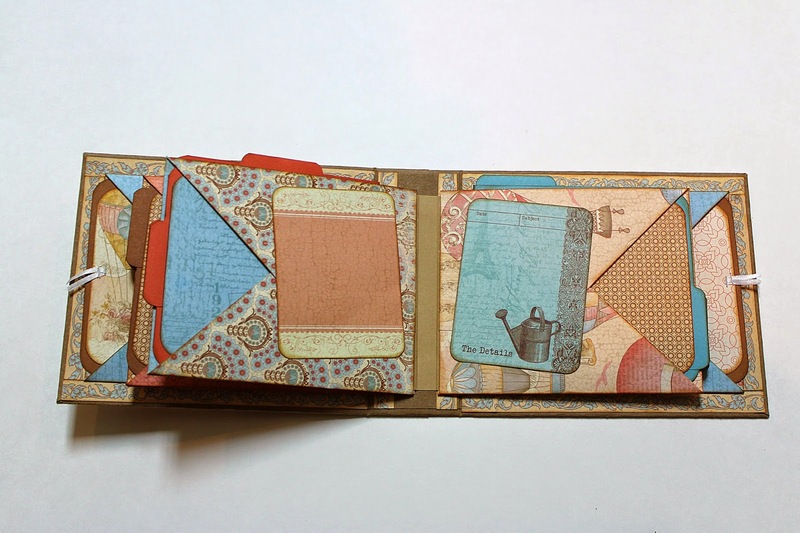 Thanks to Dawn's Inspirations for the YouTube video on how to make these pages. You can check it out here . Absolutely stunning Lynette. I have challenged myself in making a mini-album and this might be just what I am looking for. Thank you Natalie! I think you'll have fun making this album. Enjoy! All your projects are lovely! I will also have to try the mini album, I haven't made this type before. Thank you for the inspiration. adore it all - love the mini album. I LOVE to find inspiration for them - thanks so much for joining us! Thanks Pam! I enjoyed looking at everyone else's creations too. Love all of your mini albums, can't wait to see more of your creations.